Oh no! Did you forget to save that Word 2013 document or Excel 2013 spreadsheet? It may not be lost if you know where to look, and the process is very similar for both programs. The first step is to restart the program. This should prompt the Document Recovery menu to appear. From the Document recovery menu, you can open, save, or delete the files. 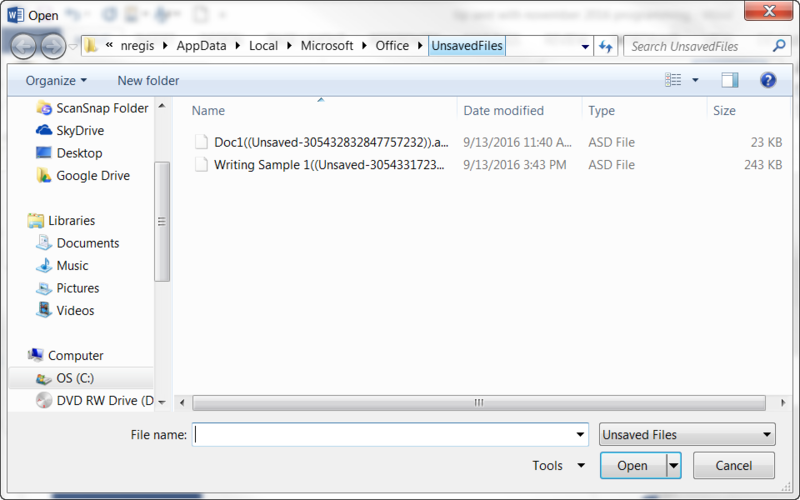 If the document recovery pane does not appear, there’s still one thing left to try. 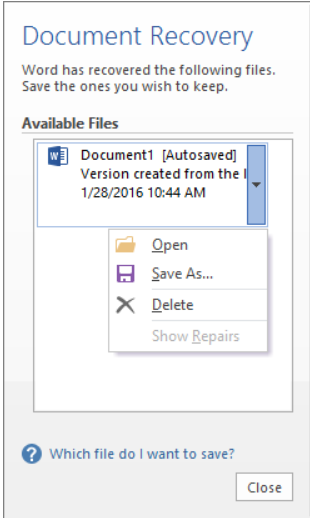 Under the “File” tab, click “Open” and then click “Recent Documents.” Scroll to the bottom of all of your recent documents, and you will see a button that says “Recover Unsaved Documents” (in Excel, it will say “Recover Unsaved Workbooks”). A menu will pop up with all your unsaved files. 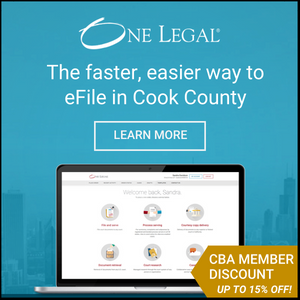 Find the document you are looking for, open it, and then save it right away. If you can’t find the document there, but haven’t given up hope, there are more methods to try on this support page: https://support.microsoft.com/en-us/kb/316951 The article also provides steps for locating missing files in older versions of Word.